Cab units are a type of diesel locomotive that sport a full length hood and cab on one end, streamlined into a seamless design. Electro-Motive first introduced this type in the mid-1930s and its models became affectionately known as "covered wagons." However, all of the major builders from that era offered their own version (except for General Electric) including Baldwin, the American Locomotive Company (Alco), and Fairbanks Morse (FM). The cab models were arguably the most elegant diesels ever built given their sleek lines and "fast" appearance. Not only did EMD sell thousands from its E and F series but other builders like Alco and Baldwin also cataloged classic (if not successful) models such as the PA and "Sharknose" (a design applied to a number of its models). Today, several EMD products remain in use, even by major Class I railroads. For more reading about cab unit designs cataloged by the various manufacturers please click here. The first cab units were displayed to the public in 1937 beginning with the Baltimore & Ohio's EA (E, which stood for eighteen hundred horsepower and "A" described it as a cabbed unit) that powered its Capitol Limited followed soon after by the Santa Fe's E1 (for the new Super Chief) and Union Pacific's E2 (for its City series of trains). All three were a radical departure from the drab black steam locomotives that had permeated the rails for a century. They featured a windswept carbody with a cab up front, slanted nose (except for UP's bulbous E2), and a streamlined trailing hood where a pair of Winton, model 201-A, 900 horsepower prime movers were housed. 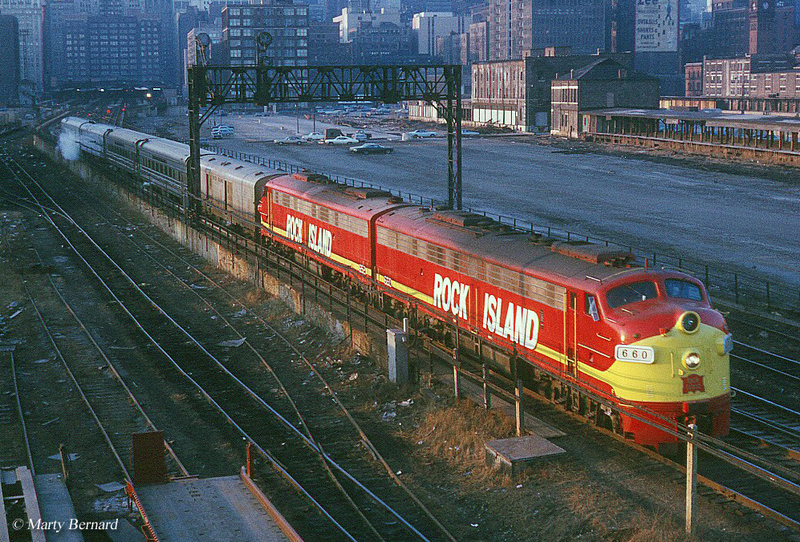 Not only did these locomotives look fast but they were adorned in bright, colorful, and elegant paint schemes to dazzle and attract attention. Electro-Motive introduced a more conservative design in 1939 with its FT (Freight, Twenty-seven hundred horsepower) that was still streamlined but sported a more rounded nose dubbed the "Bulldog." Over the years it is interesting how times have changed. During the Art Deco era of the 1930s style, grace, and appearance were still all very important to the general public. As such, trains began carrying this concept not only inwardly (which had been the case for years) but also outwardly. Electro-Motive's cab units were a testament to this as even freight trains were supposed to look good. The streamlined FT certainly carried this mantra with an elegance to fit the period. The original A-B-B-A demonstrator set, #103, toured from coast to coast beginning in May of 1939 and continuing for the next 11 months. In the process it convinced railroads that diesels were the future thanks to their incredible cost savings not only from the units themselves but also via less infrastructure and manpower required to maintain them. By the time EMD wrapped up production on the FT in 1945 some 555 A units and 541 B units (matching cabless units) had been manufactured, spelling doom for steam. This cab model also benefited from its timing; in 1941 America entered World War II and the government restricted most diesels from being built to focus on the war effort. As a result no other builder could offer a competing design until the conflict was over. Fairbanks Morse was the first to do so, debuting the "Erie Built" (named for General Electric's Erie, Pennsylvania plant which fabricated the carbodies) in 1945. 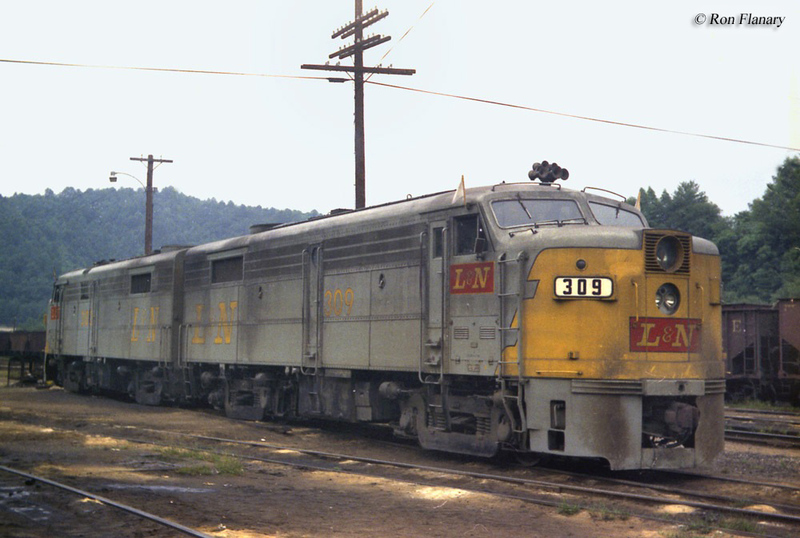 This locomotive was designed for passenger service and while similar to EMD's E series featured a longer, flatter nose (overall it was attractive) with power coming from an interesting opposed-piston prime mover. Similarly there was Alco's PA and FA models of 1946, the former designed for passenger use and the latter for freight service. Finally, Baldwin had its DR-4-4-1500 of 1947, which first featured the unpopular "Baby Face" carbody that was later replaced with the much more attractive "Sharknose" lines by Raymond Loewy. Aside from Alco's somewhat successful PA/FA models no other builder would really compete against EMD's popular "covered wagons" (despite offering wide ranging catalogs); not only were they reliable but also sported a classic look that no one else could match. In 1945 EMD released its next model, the F3, which sold more than 1,800 "A" and "B" units during its four-year production run. Then came the F7 of 1949 that trumped them all. It was built through 1953 and outshopped a jaw-dropping 3,849 units, combined. 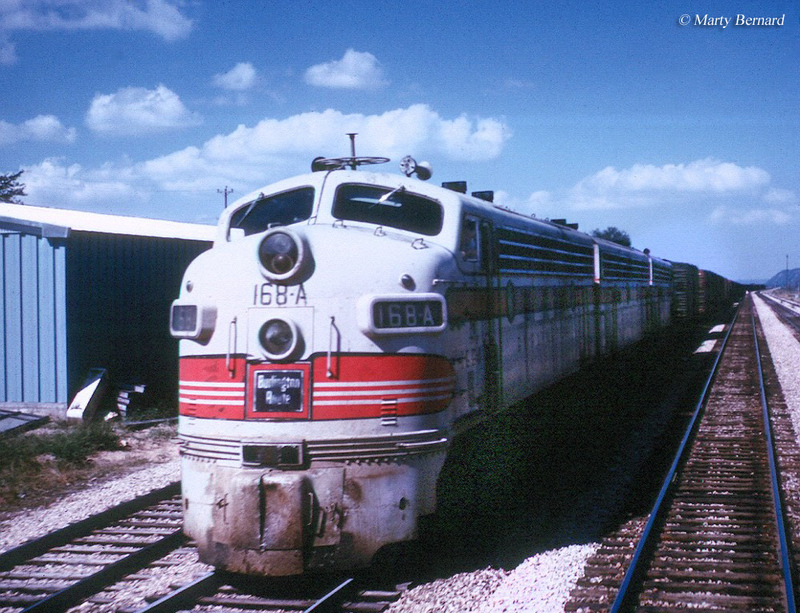 During this time the La Grange, Illinois builder was also cataloging its passenger E series though these never saw near the level of success as the Fs, simply because fewer were needed (and some roads like the Santa Fe primarily chose Fs in passenger service anyway). The F7 proved to be the pinnacle and decline of cab units, the fad was over. While numerous other models were cataloged like the FP7, F9, F40 series, and F45 these only sold a few hundred examples. In 1949 EMD began marketing its new "General Purpose" GP7. It was an out-growth of the failed BL2, a road-switcher meant to compete against Alco's RS series, which debuted with the RS1 in 1941. This type of diesel was meant to offer enough horsepower for main line service while also providing the train crew with better visibility. As its name implied it could be used as either a switcher or road freight locomotive. Thanks to EMD's already reliable model 567 prime mover and ease-of-maintenance the GP7 sold thousands, which led to an entire series as well as the later six-axle, "Special Duty" line. Electro-Motive's iconic "covered wagon" look ended in 1960 with the F9 although it continued to produce a similar and boxier cowl design that appeared on the F45, FP45, and others starting in the late 1960s. The classic lines of EMD's "bulldog" has not disappeared, though, as a number of Es and several Fs remain operable including some in freight service and others heading up Class I business trains. For more reading about EMD's E and F cab units that also offers fabulous photography I would highly recommend Brian Solomon's Electro-Motive F Units And E Units. Another good title of his is Vintage Diesel Locomotives which highlights several classic models from various builders. To read more about cab units from various builders please visit the Diesel Locomotives section of the site, which can be reached from the top of this page.